A chain of command, or command hierarchy, is the relationship between personnel in terms of responsibility and authority. It’s a ready-made structure for delegation of authority to accomplish the organization’s mission. That’s true in most large organizations and broadly applicable, though examples here will be drawn from my experience in the military. In the military’s chain of command, a commander will have a series of subordinate commanders and staff who report directly to him/her, and each of those commanders will have subordinate commanders who have the same relationship to them. It is this structure that allows a commander to issue orders that will be executed by each leader in the chain, all the way down to the smallest unit. Coordination of operations requires that each person in the chain have a senior officer to answer to, and subordinates to delegate tasks to. Without it, imagine a general trying to give orders to 20,000 people simultaneously. He’d go hoarse pretty quickly. The same is true of most private sector companies above a certain size. The chain of command facilitates command and control and maintains unity of command by eliminating conflicting orders from above. In the military, the chain of command is drummed into us from the moment we join. Basic trainees are taught to identify every officer and Non-Commissioned Officer (NCO) in their chain of command, from the President on down through their platoon sergeant. It’s not as hard as it sounds, since there are only so many echelons between the President and that platoon, which is one of the advantages of the chain of command. You only have to remember a few people who have direct authority over you. This chain simplifies giving and taking orders. The primary duty of each Soldier is to follow the orders of those in his chain of command, as they have what is known as “command authority,” that is, authority derived from a command position. For example, when I was a second lieutenant, I saw a Soldier in our motor pool remove his sidearm from his holster and jokingly point it at another Soldier. I directed him to holster his weapon. He did so, but he wasn’t happy about it and went to get his platoon leader. When they came back, I pointed to a full colonel who was looking around the motor pool, and explained that he was the division safety officer, and that if he’d corrected the action before I did, we’d all have had a problem and his Soldier would probably have gotten a lot more than a spot correction. There are also situations when someone will skip their immediate supervisor or subordinate, known as “jumping the chain of command,” and it’s usually a very bad idea. A brigade commander who issues orders directly to company commanders risks putting them a situation where they may have conflicting orders. He also communicates a lack of confidence in the battalion commander who is his immediate subordinate. It ends up neutering the battalion commander. Company commanders will begin to take their feedback directly to the brigade commander, bypassing their boss to put it in civilian-speak. This also puts the brigade commander in the position of having to manage four company commanders instead of one battalion commander, which means more work for him and his staff. The higher up you go with this, the more chaotic it can get for the entire chain of command. 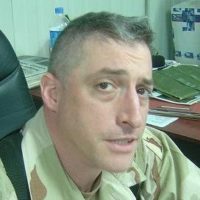 When I was a major, one of my duty assignments was as the operations officer of the mayor’s cell of the largest US base in Iraq (the mayor’s cell conducts all of the base operations tasks, like the mayor of a city). I reported to our operations and training (S3) officer, who reported to our commander, a colonel. His commander was a two-star general who was responsible for logistics support for all of Iraq. During my tour, the two-star had what staff officers refer to as a “GOBI,” or General Officer Bright Idea. He directed that his staff set up an email hotline that allowed any Soldier in the command to put questions directly to him. While this sounded good in theory, in practice it meant that any trooper could now jump the chain of command and get an answer to a question that would otherwise have been handled at the lowest level. Of course, being a Major General, he wasn’t about to answer the questions himself. That was his staff’s job, and since many of the questions referred to quality of life issues around the base, they were directed to the mayor’s cell’s operations officer, which meant that they were directed to me. This program rapidly became the bane of my existence, since it meant that I had to drop everything that I was doing when one of these questions arrived in order to answer it. And, because the answers were supposed to come from the general, each response had to be fully researched and diplomatically worded. I spent days researching trivial issues that a platoon sergeant would have dismissed out of hand, while my actual workload in support of our mission increased. This had all the downsides of jumping the chain. The subordinates took questions over the heads of their immediate leaders, the people between the general and the troops were marginalized, and the staff and the general ended up doing more work. Eventually, the general’s staff complained to the Chief of Staff, who quietly killed the program. When should you jump the chain? Rarely. Remember that jumping the chain implies a lack of trust in the subordinate or superior personnel that you are jumping over. Usually, it involves reporting of serious legal or ethical breeches, or emergency situations where the normal communication channels are too slow. Does the chain of command always work? No, but the consequences of jumping the chain are usually worse than the consequences of acting under it in dumb situations. Though your organization may not call it the chain of command or emphasize command structure as much as the military, you probably have one. And you may have been wondering why it matters: It’s a tool for getting things done and an antidote to organizational chaos.